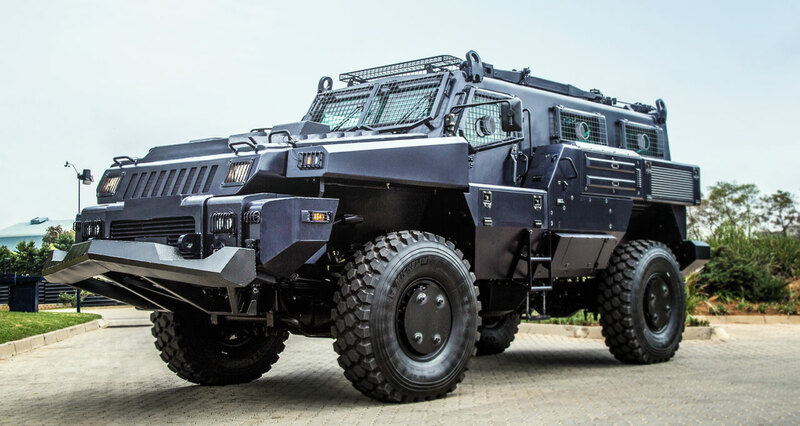 Global Defense company known as the Paramount Group from South Africa built one of the biggest, toughest off road capable vehicles in the world known as the Marauder. This thing is just enormous. it literally makes a Hummer H1 look like a Tonka Truck. Standing at roughly 9ft tall, 21ft long and almost 9ft wide it was said to be the “World’s most unstoppable vehicles” according to legendary Ex-Top Gear presenters Richard Hammond after he literally drove a Marauder through brick wall. 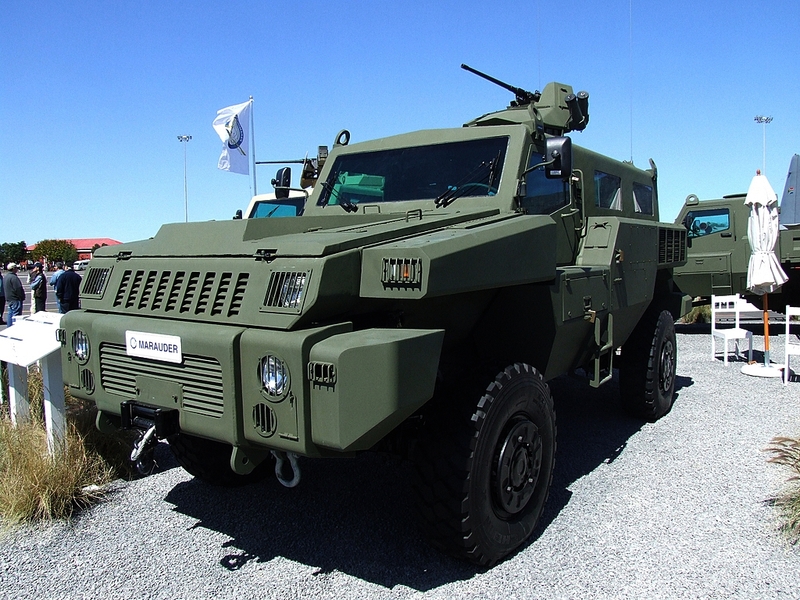 The Marauder was built for military use in both peacekeeping missions as well as things like reconnaissance missions and even just troop transport in some situations. 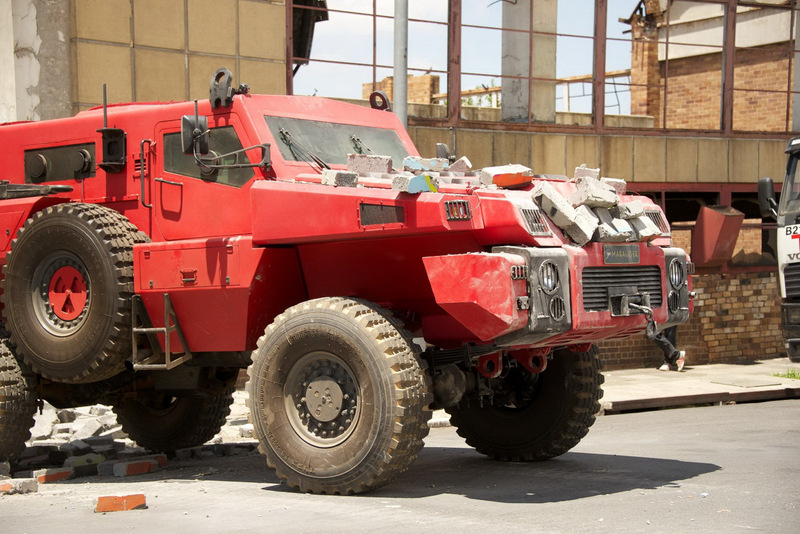 It is fully armored and has a V shaped hull that is designed to deflect potential blasts from roadside I.E.D.’s ( improvised explosive device) and land mines away from the passengers inside. Because of its large cargo area the Marauder could carry as many as 10 soldiers and their gear, as well as the driver and commander in front. The best part was they decided to make a civilian version of these monsters available to the public, for an estimated $500,000. Powering this beast is the good old Cummins Diesel with around 300hp and just over 800lb-ft of torque and weighing anywhere from 24,000 to 30,000lbs depending on what options have been fitted. Even with all that weight and running on 48 inch tires the Marauder can cruise at speeds 60-70mph no problem. That Cummins diesel engine provides enough low end torque to allow the Marauder to climb and crawl over almost anything without any problems. When things start to get really tricky, that’s when you activate the four wheel drive system with both Front and rear lockers and the center diff locked as well. 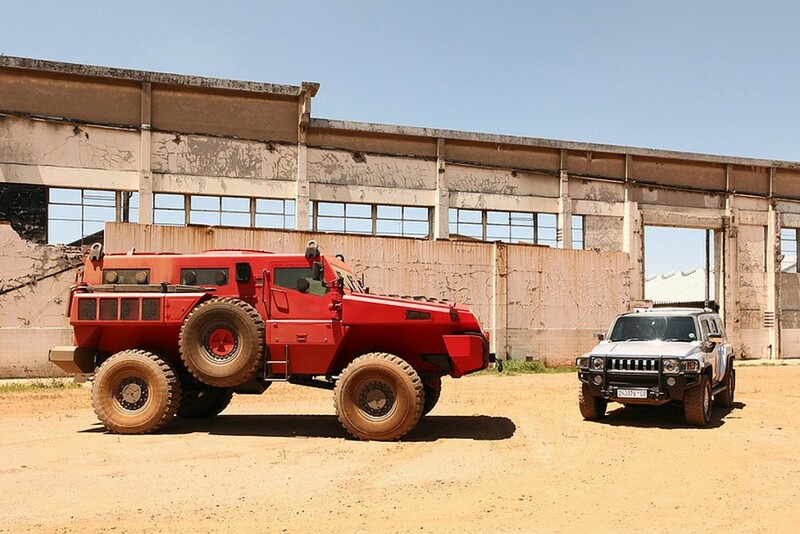 So even if it might cost over half a million to get one, that is if you are lucky enough to find one, there really is no arguing that the Marauder is the biggest, baddest off road vehicle in the world. If you haven’t seen the Top Gear segment on the Marauder it is a must see. Check it out below.